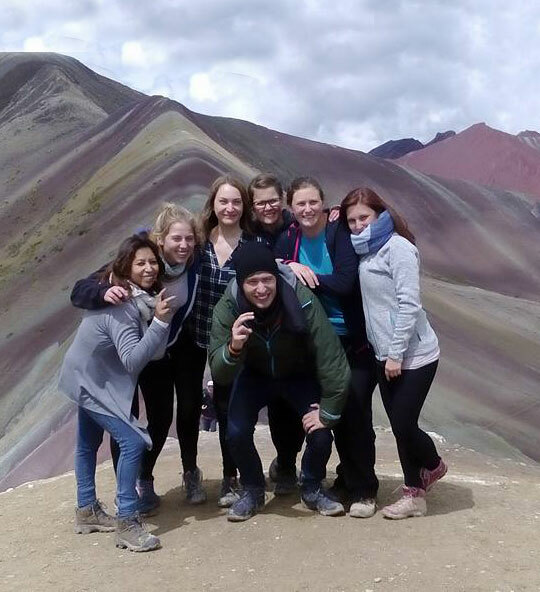 Latina Spanish School offers three accommodation options for the students and volunteers: Peruvian host families, the student’s apartment, or a traveler’s hostel. 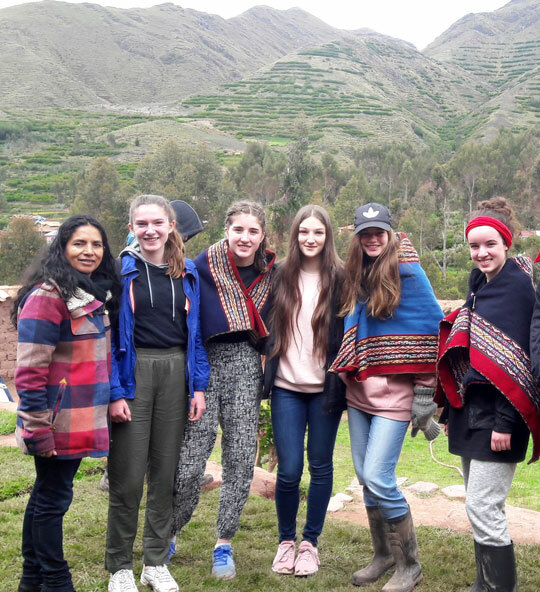 Staying with a Peruvian family is a great way to not only practice what you’ve learned in classes, but also to get fully immersed in the local culture. You’ll get a private room, there’s good Wi-Fi connection and you’ll get 2 meals a day included (breakfast and lunch/dinner), this way you can still enjoy the great restaurants in the city without losing meals with the host family. We work closely with three families in very safe neighborhoods not far from the school. In every family we have 3 to 4 students of our school. This way you’re not alone, so you can go together to the school and the activities, but you’ll still have a very personal contact with the family and really be part of their lives. If you have any allergies, if you are vegetarian or vegan, if you don’t like pets, or if you have other preferences, please let us know! We have a shared apartment with a capacity of maximum 4 students. It’s a great opportunity to meet people from all over the world and spend time together. If you prefer having more space for yourself and cook your own food, this is a great option for you. You’ll have your private bedroom but the living room, kitchen and bathroom are shared. The apartment is completely furnished and has a fully equipped kitchen. There’s a good Wi-Fi connection and hot water 24 hours a day. 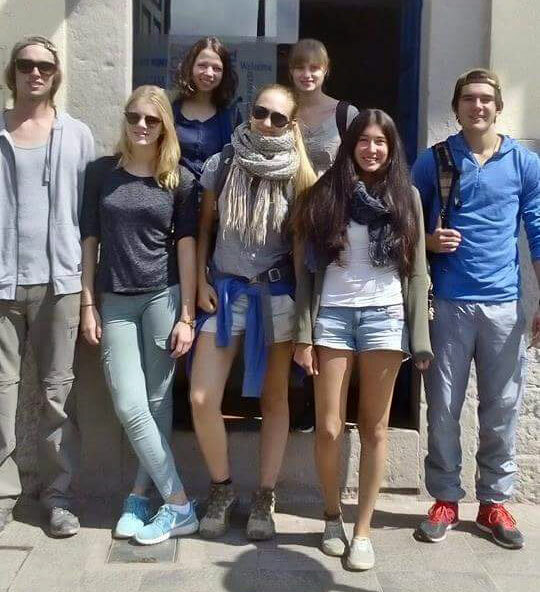 Many young travelers like staying at a hostel because of the social contact with other travelers, the activities and the atmosphere. We collaborate with the hostel Caja Mágica in the lovely neighborhood of San Blas where you can even make a difference for the kids from the poor neighborhoods. The have an after-school project where you can help out and they offer alternative tours where you can make a difference for local communities close to touristic sites. Our students have a discount of 10% at this hostel. If you have any specific requirements or if you’d like to have a private apartment, we can send you the information on some other apartments we work with. 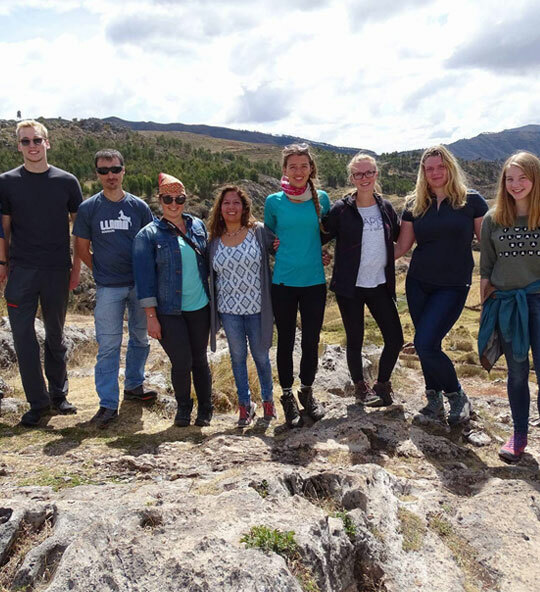 If you’re planning on visiting Lima first or sleeping off the jetlag before coming to the altitude of Cusco, we can help you with organizing this. We have a homestay in a very safe neighborhood located between the airport and the historical center. One of the family members will pick you up from the airport and take you to their house. You can choose how many nights you’d like to stay and if you want you can have 2 meals a day included, which is a great way to try some typical Peruvian food already. When you go to Cusco, the family will drop you off at the airport so you don’t need to worry about negotiating with taxi drivers yet. Our standard package has a cost of 65 USD and includes the airport pick-up and drop-off, one night at the homestay and 2 meals (breakfast and lunch). You can always add extra nights (for 30 USD per night) or choose not to eat with the family. Contact us to talk about your preferences and we’ll recalculate the price for you.